Here are some facts about Easter Island. Easter Island is famous for its hundreds of moai, or giant stone statues. It is also one of the most remote inhabited islands in the world. The island has a population of about 5,800, most of whom are descended from the original inhabitants. It is located about 3,500 km from Chile and 2,075 km from its closest neighbor, Pitcairn Island. 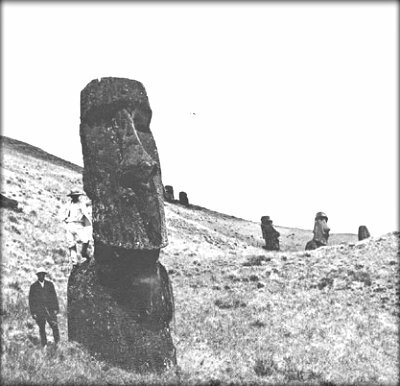 Easter Island, also known as Rapa Nui, was annexed by Chile in 1888. The island was named by a Dutch explorer who sighted it on Easter Day in 1722. Easter Island is actually the summit of a large volcano, rising over 2,000 metres from the sea floor. There are many volcanic lava flows, and basalt flows which contain iron. There are almost 900 stone statues on the island, mostly located on the coast. The largest of them is almost 10 metres long and weighs about 82 tons. The huge statues were carved between 1100 and 1680, using stone chisels, which have been found on the island. They were probably pulled into position on wooden sledges by up to 250 men. Each of the statues has different and distinctive features, representing a specific ancestor. Each one also had a name and they were often painted. Some statues were removed from the island and taken to museums, including the British Museum and the Louvre. In 2008, a tourist was fined about 10,000 pounds for breaking off part of a moai. Many of the statues on Easter Island were found toppled over, and were then replaced. 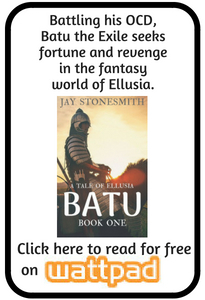 They were probably pushed over by fighting tribes during the 14th to 17th centuries. Trees are scarce on Easter Island and they may all have been cut down for timber. Cannibalism was almost certainly practiced on the island at one time, partly because of the lack of plants and animals.